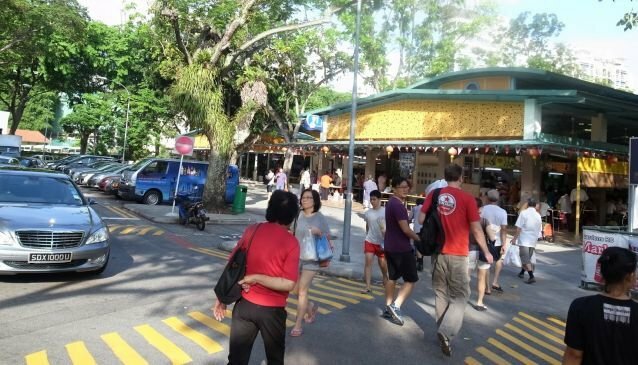 This handy spot for Singaporeans living in the northern suburb area of Balestier Road, features a wet market, which is often praised for being cleaned and well organised, with all the regular vegegtables, meat and seafood needed for your every day cooking. Its hawker centre is yet more popular and best known for its wide variety of Singapore local favourite food such as its BBQ seafood and tasty chicken wings. Some dishes you should also try here are the Fish Head Steamboat, Sambal Sting Ray, Ah Hock Fried Oyster Braised Duck and the Rojak at Balestier Road Hoover Rojak (#01-06) which has been highly recommended in the 2013 edition of the CEO's Hawker Centre Guide.